From the bestselling author of Rocket Boys–the basis of the movie October Sky–comes a long-awaited prequel. 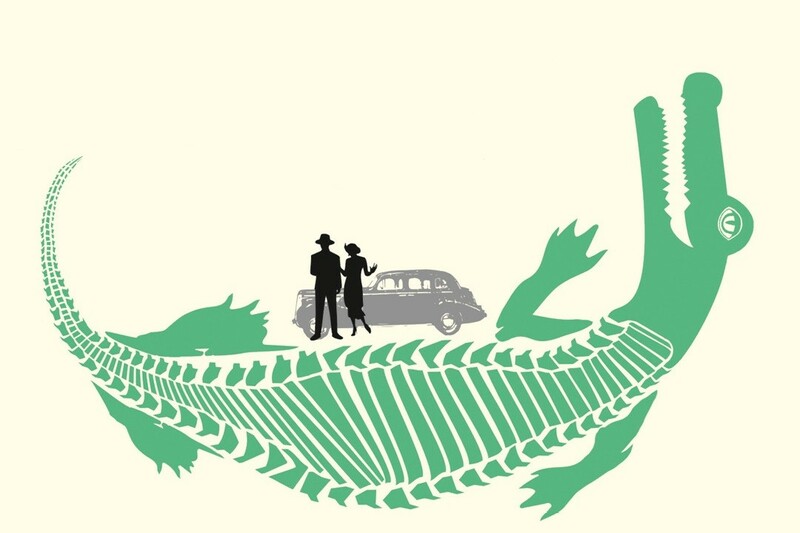 Big Fish meets The Notebook in this novel about a man, a woman, and their alligator. In 1930s America, the Great Depression made everyone’s horizons smaller, and Elsie Lavender found herself back where she began, in the coalfields of West Virginia. She had just one memento of her halcyon days – a baby alligator named Albert. 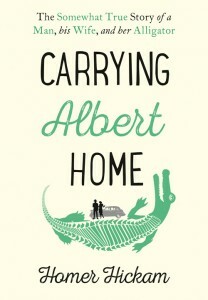 These are suggested questions to be used by book clubs who choose Carrying Albert Home. (1) Do you think the marriage of two young people like Elsie and Homer would last today? (2) What is your opinion of Elsie and Homer? Did you like them both equally? Did you understand their motivations? How were they different? (3) Did you like Albert? If so, what made him likable? Do you think a real alligator would act that way? 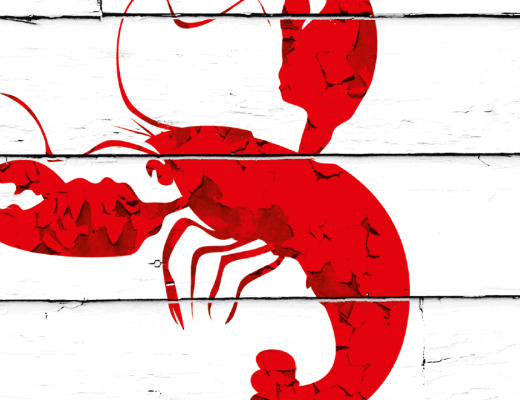 (4) Why do you think John Steinbeck and Ernest Hemingway have cameos in the novel? Did you like the way Hickam wrote about them? (5) Although the novel states that the rooster’s purpose in the story is not entirely understood, do you have an opinion about why he made the journey? Did he represent something more than himself? (6) Did the novel make you want to put an alligator in a washtub in the backseat of your car and go on a 1000-mile road trip? In these times, what to you think would happen if you did? (7) Hickam says that in the process of writing the novel, he came to understand that the stories his parents told him about Albert were their “witness and testimony to what is heaven’s greatest and perhaps only true gift, that strange and marvelous emotion we inadequately call love.” Do you agree this was a love story? (8) Why do you think Homer loved Elsie so much? What about her was lovable? Do you think Elsie loved Homer? (9) Why do you think Buddy Ebsen sent Elsie the alligator? (10) Why do you think Huddie and Slick kept popping up in the novel? 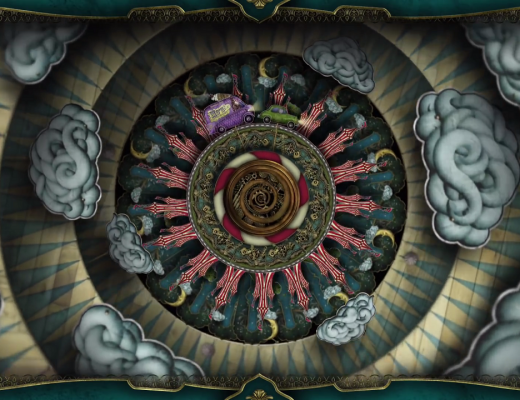 Watch the dazzling new trailer for Ned’s Circus of Marvels!